Either this show or the Youngstown, Ohio recording would be the earliest known to surface yet with Gary Thain on bass. He joined the band on February 1, 1972 at the Whiskey A-Go-Go in LA replacing Mark Clarke. Rumors of a recording from one of those dates have surfaced by nothing has yet to materialize. 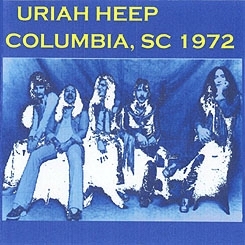 This is a very poor copy of Uriah Heep's set in support of Cactus during their second US tour. Sources indicate the master for this show exists on reel to reel, so perhaps eventually a better quality copy hopefully may surface.